CompX Security Products domestically designs, manufactures and markets high-quality security products — both mechanical and electronic. 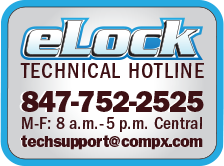 CompX eLock is proudly designed and manufactured by CompX Security Products, in the Grayslake, Illinois facility. The name may be new to you, but the brands are 252 years old in the Security Industry. That's right, CompX Security Products sounds new but it is the manufacturing umbrella for the former National Cabinet Lock, Fort Lock, Timberline Lock and Chicago Lock. National Cabinet Lock, now CompX National, was founded in Rockford, Illinois in 1903. National Lock moved its cabinet lock manufacturing facility to Mauldin, South Carolina in 1982. National has always been known for its full product line of security locks, ranging from disc tumbler locks to pin tumbler locks. In 1998, CompX acquired Fort Lock, formerly located in River Grove, Illinois. Fort Lock, now CompX Fort, was founded in 1955. Fort added the Multi-Function cabinet locks with stainless steel caps to the STOCK LOCKS program. In 1999, CompX acquired Timberline Lock, formerly located in Lake Bluff, Illinois. Timberline, now CompX Timberline, was founded in 1982. Timberline added the small diameter core removable replacement wood furniture locks and mechanisms to the STOCK LOCKS program. In 2000 another old industry Standard was added to the CompX family, Chicago Lock. Chicago Lock, now CompX Chicago, was founded in 1920. All production of Chicago brand products is manufactured in Mauldin, South Carolina. With the addition of Chicago to the STOCK LOCKS program came the ACE II tubular lock products. In 2007, CompX Fort and CompX Timberline moved into a new facility in Grayslake, Illinois. This new complex also houses Livorsi Marine, from the CompX Marine division. The name, CompX Security Products, is new, but you have been using and trusting the CompX name for more years than you may care to remember. Contact us today for more information or a catalog. 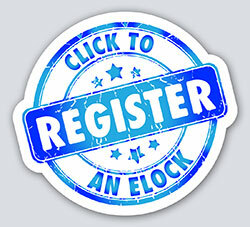 Click to view the CompX Security Products website.